Alden McWilliams’ illustrated tribute to the pioneer fliers of the early days of aviation was called “They Had What it Takes”, and this week we bring you the 34th installment, which appeared in the November 1939 Flying Aces. . In this week’s installment McWilliams brings his talents to rendering the life of that Trans-Atlantic vet, Clarence Chamberlin. Clarence Chamberlin just missed out on being the household name that Lindbergh became. When Lindbergh took off, the plane’s owner Levine was still tinkering with the plane and arguing with who would pilot it—thus preventing Chamberlin from becoming the first to fly solo across the Atlantic. 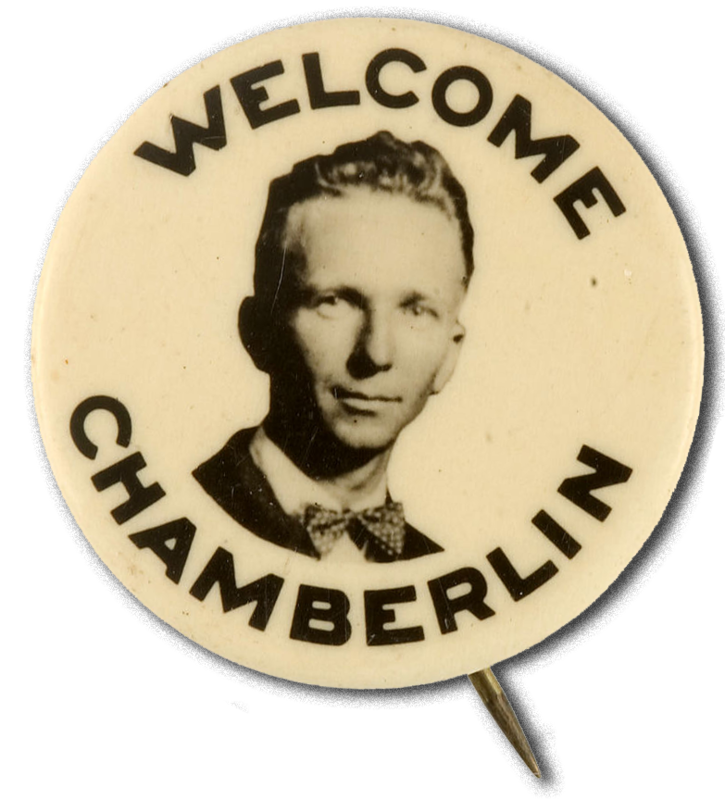 However, several weeks later, Chamberlin took off with Levine as a passenger and became the second man to pilot a fixed wing aircraft across the Atlantic to the European mainland, but the first to take a passenger! And he flew further setting a distance record, landing in Eisleben, Germany when he ran out of gas—just 110 miles short of his goal of Berlin.